Service Dogs in Canada - INVESTING IN ONE OF CANADA'S MOST PRECIOUS NATURAL RESOURCES, THE HUMAN-ANIMAL BOND. CFAS receives ongoing calls about where to obtain a service dog, how to certify a pet as a service dog, how to train a service dog, and how much does it cost to get a service dog. Most service dog organizations have waiting lists and not all organizations train service dogs for every kind of disability. First things first, there is no process for certifying a pet as a service dog. Service dogs are specially trained to support people living with visible and invisible disabilities in order to lead meaningful lives, and to participate in an inclusive society. There can be serious repercussions for passing a pet off as a trained service dog, as well as public safety concerns if the dog is not properly selected, socialized, and trained. As such, the following information is meant to provide some general guidance concerning service dogs. One of the safest means to obtain a service dog at this point in time is through a registered charity or non-profit organization because they are accountable to provincial and/or national regulators to adhere to their mandate. Charities are registered with Canada Revenue Agency and non-profits are either registered nationally with Corporations Canada or a provincial non-profit registrar. The Development of a National Standard of Canada for Service Dogs is long overdue. CFAS is pleased to announce that this gap is finally going to be addressed. It took over 20 years to raise awareness, while promoting viable solutions, finally someone listened. Consumers are vital contributors to Canadian standardization. They help ensure that the products and services that are manufactured, imported and sold in Canada are as safe and relevant as possible. Feedback from consumers provides an important perspective on consumer interests to the standards community. This input is actively solicited and greatly valued. Consumer feedback provides much-needed information from Canadians about the products and services that they use every day. As well, input from consumers contributes to the integrity of Canada’s standardization system and its efforts to preserve the safety and well-being of the nation, its citizens, its pets and animals in service, and the environment. 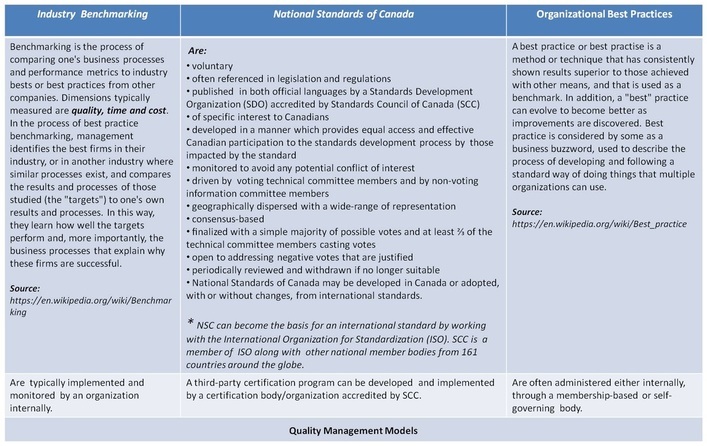 The Standards Council coordinates Canada’s standards activities through a vast standardization network, which comprises organizations and individuals involved in voluntary standards development, promotion and implementation in Canada. Stakeholders within the network include representatives from business and industry, government, as well as consumers. National Standards of Canada are created by uniting and engaging a variety of stakeholders through committees and public consultation through a consensus-based process. National Standards clarify common expectations and what the stakeholders set out to achieve by working together. One of the many benefits of National Standards is that they can be referenced in provincial and territorial regulations for the purpose of clarity, consistency, and public education. Please click on the embedded link noted above for more information. For an introduction to Canada's National Standards System please visit Standards Council of Canada. Assistance Dogs International (ADI) member organizations adhere to their branded benchmarks (private company standards) issued by ADI. Learn more about Canadian ADI member organizations. Since this emerging field is unregulated by a third-party most other service dog organizations operate in a similar fashion using proprietary practices. In such cases organizations certify their own service dog teams deeming them ready to work as a team in public places. Organizations like ADI and MSAR self-accredit their respective organizations. Please Note* Standards Council of Canada (SCC) is the Canadian member for the International Organization of Standardization (ISO)and the International Electrotechnical Commission (IEC), the world’s two foremost voluntary standards organizations. Members of ISO and IEC Standards Development, Canadian stakeholders must participate in the Canadian Standardization Network formerly referred to as Canada's National Standards System (NSS). There is no nationally recognized registry for service dogs in Canada, nor is there a national identification card. These are two areas that National Standards of Canada could address through a complementary third-party certification program. Please note, there are no national registered standards for the training, placement, and certification of service dogs in Canada or abroad. Reference to service or assistance dogs in legislation is either absent or inconsistent making it difficult for people travelling with a service dog. Legislation pertaining to public access of service dog teams varies from province to province. There is no nationally recognized service dog team certification program. Once a National Standard of Canada for Service Dogs is created a national third-party certification program could be established to administer the standard. This would be ideal - a seamless solution for public access, awareness, and support. There is no national certification or National Occupation Classification (NOC) for service dog trainers. Some people are self-selecting and training dogs on their own and using doctor's notes to gain public access with their dogs.It is important to note that there are no national or international standards for the credentialing of service dog trainers. Consensus Standards - are going to the dogs? If you have been diagnosed with a physical or psychiatric disability you may qualify, for an service dog. Some children, youth, and adults obtain their assistance dog from registered charities in Canada. Please visit the Directory of Services and Programs for a list of organizations that can be contacted directly. Unfortunately, waiting lists are getting longer. As a result, many people are either training their own dogs or are selecting, fostering, and training dogs that they acquire from a variety of sources. Due to the ever increasing number of inquiries regarding service dogs answers to the most frequently asked questions are enclosed for your information. Am I eligible for the disability tax credit (DTC)? CRA Medical Expense Claim for specially trained animals. Can I claim assistance dog expenses, as medical expenses? What is the definition for disability in Canada? Is there a Public Access Test for me and my dog? What are the minimum training standards for public access? What kind of tasks do service dogs do for people with psychiatric disabilities? Letter from the Ontario Accessibility Directorate. *Please note that we cannot be held responsible for the opinions and accuracy of linked pages, websites, articles, etc. Obtaining and working with a service dog is a big responsibility. The dog must be cared for and training is ongoing - both of which require a commitment not to be taken lightly.Individuals and sometimes family members may need to educate the public when public access is challenged. If you, or someone you know, lacks the necessary funds to care for your/their service/guide dog, refer to the FAQ's for possible assistance. The cost of and applications for service dogs are not standardized or regulated. The pricing can range anywhere from $3,000 to $50,000. Reputable organizations will answer your questions enabling potential applicants to make informed decisions that will benefit the handler, while considering the welfare of the dog. Applicants should never be given an ultimatum with respect to fundraising to obtain a service dog. Read the fine print and if possible seek legal advice. Applicants that cannot afford to seek legal advice are encouraged to contact the Law Society of Upper Canada to request a free one-hour consultation with a lawyer specializing in consumer affairs, contracts and such. Visit the Law Society for details. ﻿There are many types of assistance dogs. Seeing Eye Dogs is a brand name for dogs trained and placed by the Seeing Eye in Morristown, New Jersey. Other service dogs may be referred to as guide dogs, assistance dogs, hearing-ear dogs, mobility dogs, seizure-alert dogs and service dogs for people living with mental health issues. There are no national definitions or terminologies for assistance dogs in Canada or internationally. The Canadian Foundation for Animal-Assisted Support Services (CFAS) does not train service dog teams. CFAS is a national cross-disability public health foundation that invests in the human-animal bond in order to build healthier and safer communities for both people and animals. Please note that CFAS does not make referrals, instead we have created a single-point of entry to access and share information. We cannot guarantee the accuracy of third-party information so please contact service providers directly for more information. To view the Directory of Services and Programs, please click on the embedded link. A service animal is any dog that is individually trained to do work or perform tasks for the benefit of an individual with a disability, including a physical, sensory, psychiatric, intellectual, or other mental disability. Other species of animals, whether wild or domestic, trained or untrained, are not considered service animals. 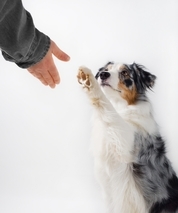 Read more..
​What tasks do psychiatric service dogs perform? ​Join the International Association of Assistance Dog Partners (IAADP).